How Long Can A Story Last? Defining the longevity of information passed orally from group to group, and from generation to generation, is hard to quantify. Stories change and grow. Their sources become lost in the mists of time, and yet they continue to have significance. Back in 1998, “The Year of The French”, commemorating the bicentennial of the political events in Ireland in 1798, I was advised to have a talk with a local family. “They have the story of the 98,” I was told. It seemed that family members could describe the coming of the French soldiers. It was their story, and the description had been passed on through the generations. There is something similar in my family, although the memory is now so tattered as to be no more than a ghostly remnant. My grandmother told me that her grandmother told her… and so on… that she had seen Charles ÍI walking his spaniels. There is not much more to this story; so, although curious, it is not exactly historically earth-shattering. In the late 1960’s, when Professor Michael O’Kelly was excavating and restoring the Newgrange complex, (originally built in around 3250BCE), he came across a curious rectangular slit above the door. It was half-closed by a square block of crystallized quartz, apparently designed to work as a shutter. There were scratches on the quartz: clearly it had often been slid to and fro, providing a narrow entrance to the tomb above the main door, which was itself firmly sealed with a 5-ton slab of stone. Now every year a worldwide lottery is held to select the privileged few who witness the truth of this ancient tradition, if the weather permits. So some elements of the story may have lasted in the area for around 5000 years. Read about the excavation of Newgrange here: http://www.knowth.eu/new_grange.htm. A while ago, I noticed a footnote in a “Dreamtime” story book, whilst waiting for a group of children to arrive in an Australian classroom, Apparently the story, set by a great lake, is a traditional tale of this people. There is no lake now, but it has been discovered that a lake, just as described, was present 36,000 years ago. Now, if correct, that would be a long lasting story indeed! 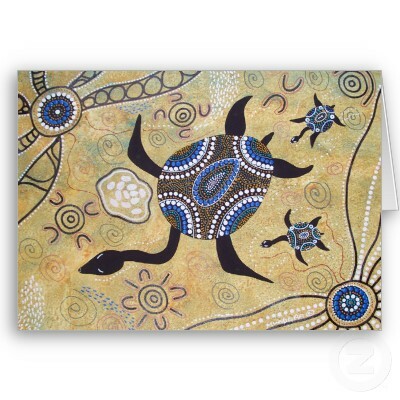 Read about the Dreamtime here: http://australia.gov.au/about-australia/australian-story/dreaming. So, could a story retain elements of a cataclysmic event in Ireland that informed the story of Sinann? After the end of the last Ice Age, the Mesolithic landscape was very different, both in landmass and climate. The middle stoneage hunter-gatherers lived mainly on the shorelines and “machas”, the fertile coastal plains. The close-forested inland areas must have seemed dangerous, “otherworldly” places; a rich source of gifts of food, but mysterious and risky. Settlement in the West of Ireland is better documented in the Neolithic period, (See information on the wonderful Céide fields in Mayo), but Mesolithic settlement right across the west is apparent both on the coast and along rivers and lake areas. The warmer weather of the post Ice Age centuries lead to climatic turbulence, much like we may be facing today. There were several known major Tsunamis, caused by melting ice, that changed the land masses of the world. One such was the Storegga Slide tsunami around 8000BCE that flooded the Doggerland, turning Britain into an Island. There was another possible Tsunami that was caused by the abrupt melting of lake Agassiz in Canada at a roughly similar date. It has been given as the cause of the creation of the Black Sea, and could have impacted on the west of Ireland; although some experts doubt that this Tsunami would have crossed the Atlantic. Read about the tsunami here: www.tsunamisociety.org/233murty.pdf.